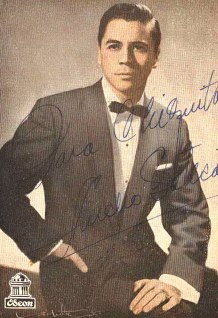 This publicity pic shows how young Lucho was when he started recording for Odeon. 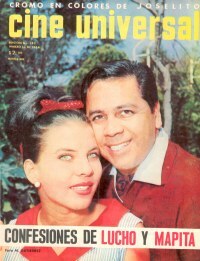 Many dreamed to be Lucho's "one and only" but it was beautiful Mapita Cortés who hooked the cat. 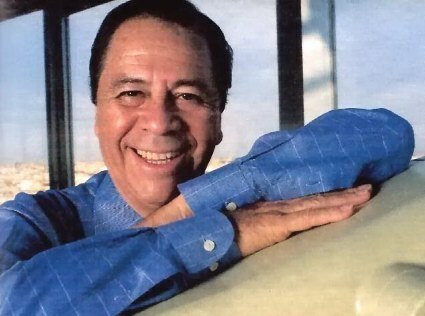 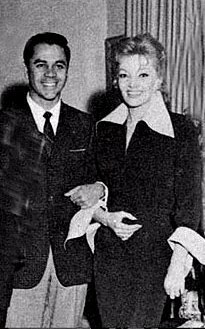 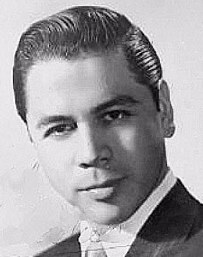 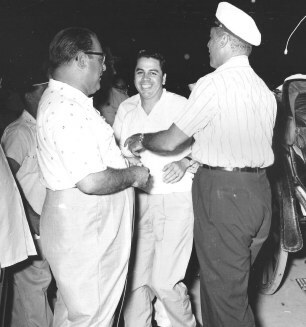 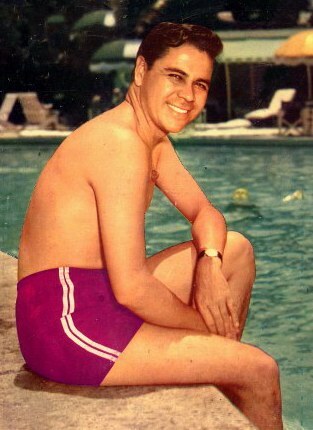 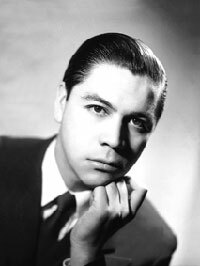 Lucho was a guest of Dinah Shore in Hollywood. 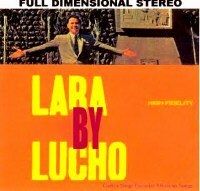 Famous Lucho album singing songs by composer Agustin Lara. 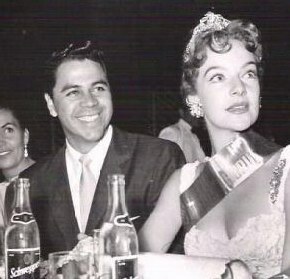 Lucho and Cuban actress Paloma Morales smile at the camera during a Hollywood party. 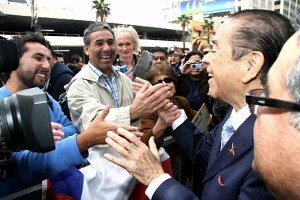 Always charming and kind with fans. 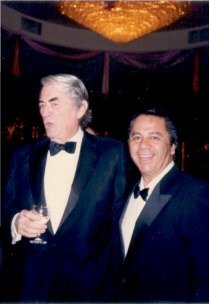 Lucho meets Gregory Peck, a true Hollywood legend. 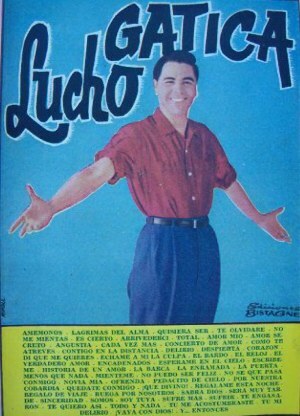 "el Niño Valdés", clowning with Lucho on Cuban televesion. 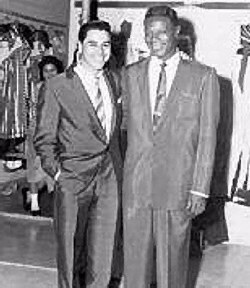 With Nat "King" Cole backstage at Havana's famous Tropicana. 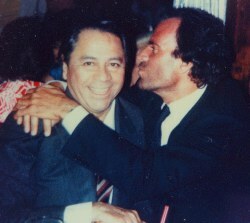 Lucho receives a warm welcome from a very special fan, Julio Iglesias. 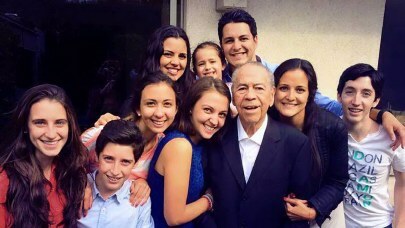 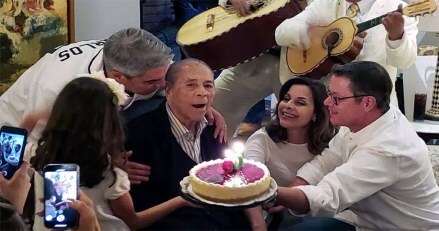 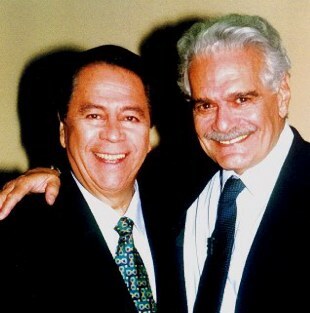 Lucho said that the best "arroz con pollo" he ever ate was at the Los Angeles home of Ernesto Martinez and Manuel Romero, RIP. 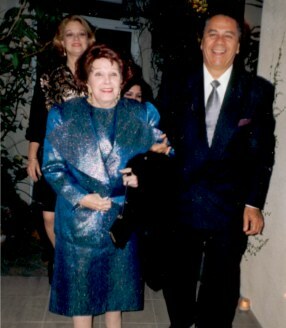 Also in the pic is the ever beautiful Silvia Pendas, Ernesto's mother. 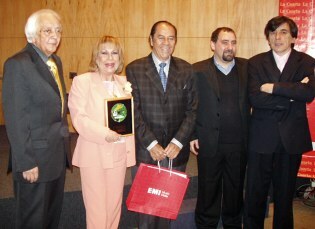 In 2007, EMI hands over another Platinum disc to Lucho for impresive record sales. 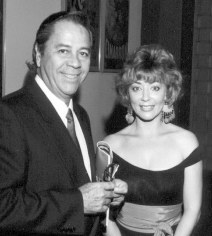 With the beautiful film star Marta Roth at an award gala in Mexico City. 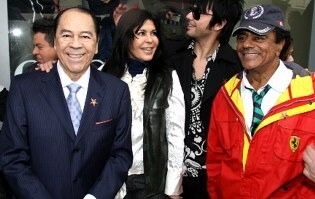 Maria Conchita Alonso and Johnny Mathis share in the celebration of Lucho's "star" in Hollywood. 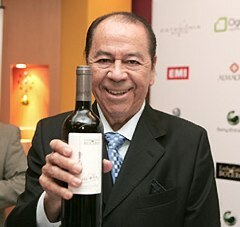 LUCHO shows proudly the wine named after him in Chile. 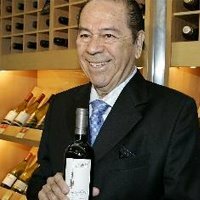 "It's a romantic combination of Carmenere with Cabernet Sauvignon and it comes with a CD of my best love ballads"
Thanking the crowds at Hollywood Blvd. 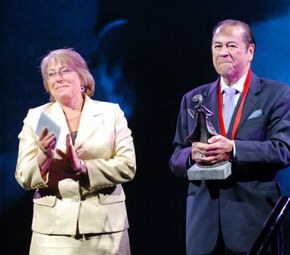 In 2007, the president of Chile Michele Bachelet honors Lucho with an important recognition. 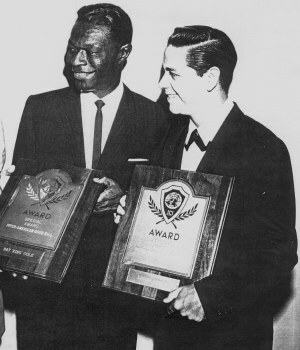 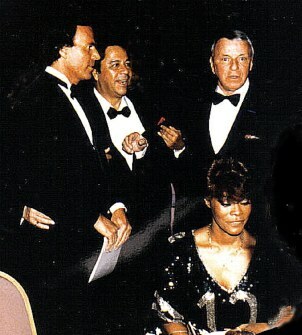 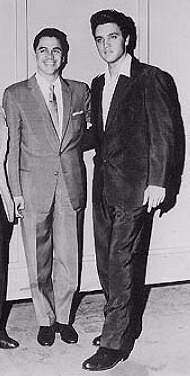 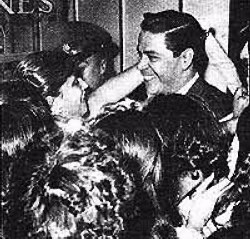 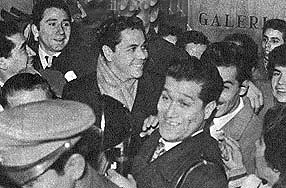 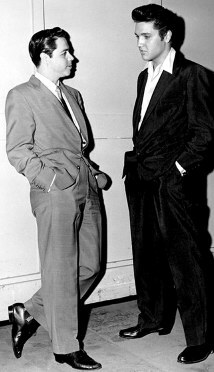 Lucho and his friend Nat "King" Cole are presented with popularity awards in Hollywood. 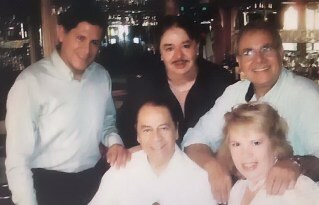 With The Mac Ke Macs during an appearance on the Ed Sullivan TV Show. 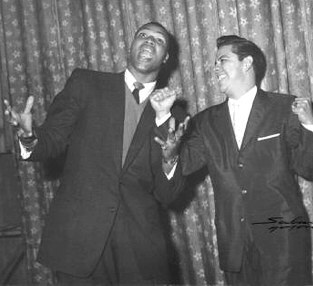 Cuban box champion "El Niño Valdés" and Lucho trade professions. 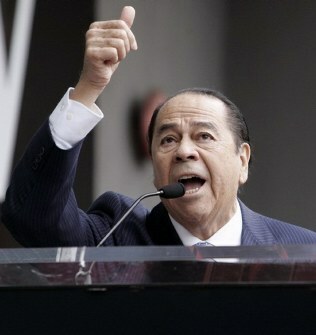 "El Niño" sings while Lucho is ready for boxing! 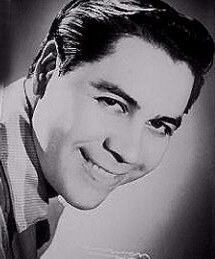 Lucho is an accomplished guitar player and he likes to rehearse with his instrument. 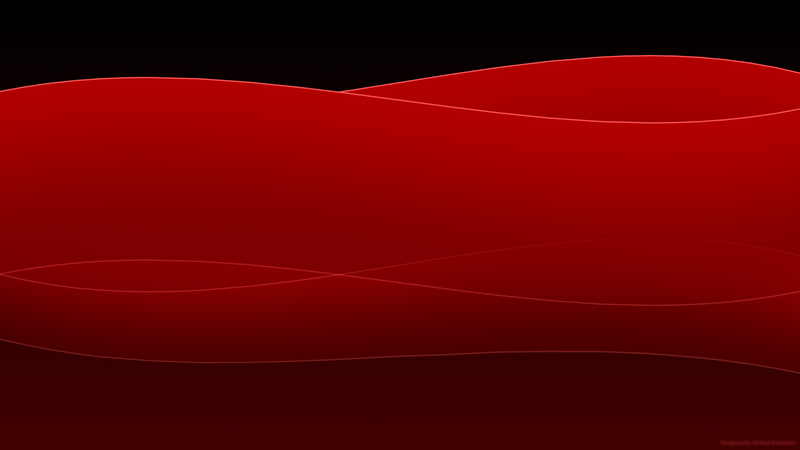 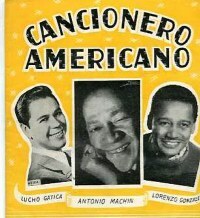 A songbook with Gatica favorites. 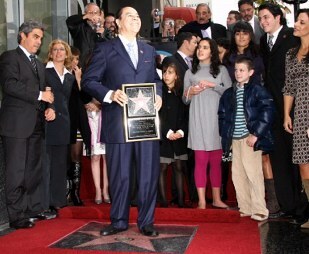 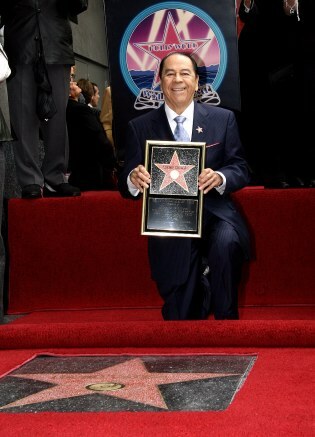 In 2008, Lucho stands proudly by his "star" in Hollywood's Walk of Fame. 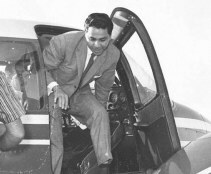 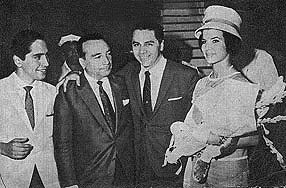 Alex Navarrete, Omar Martinez, Ernesto Martinez and Gisela Gonzalez. 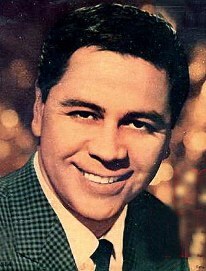 Lucho's "star" in Hollywood was granted for his illustrious recording career. 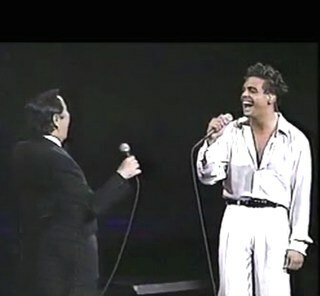 The crowds still gather around the "king of boleros"
Lucho joins Luis Miguel on stage! 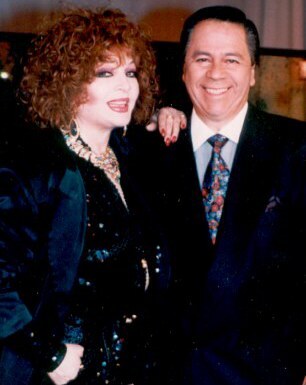 Lucho having fun in L.A. with journalist Gisela Gonzalez, P.R. 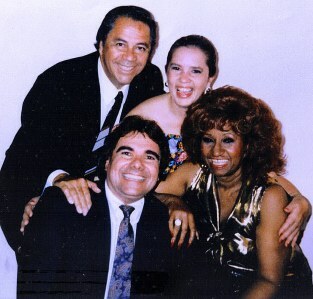 man Ernesto Martinez and the unforgettable Celia Cruz! 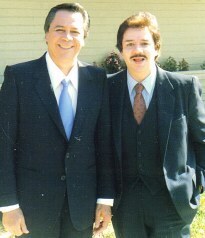 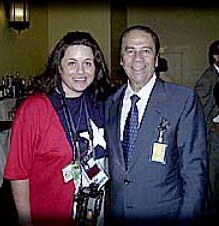 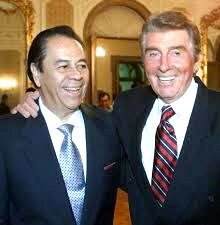 Lucho and the great Antonio Prieto, another Chilean popular vocalist. 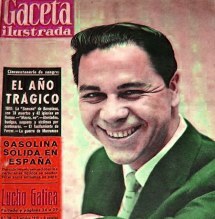 A Lucho cover in a prestigious magazine from Spain. 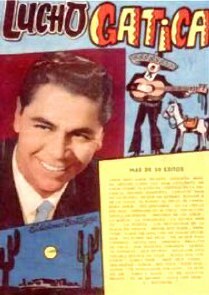 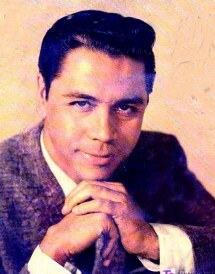 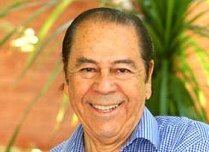 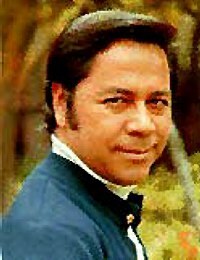 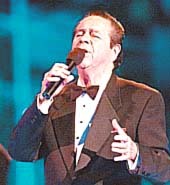 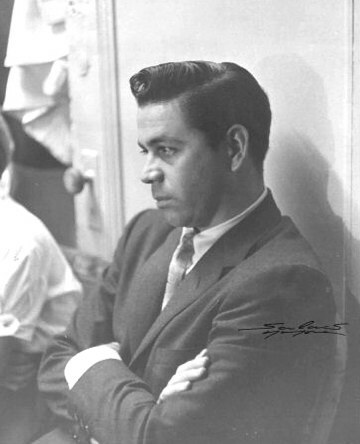 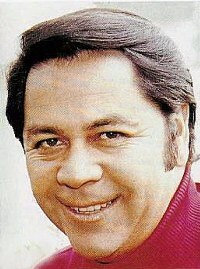 Various song books includes many of Lucho's ever-popular recordings. 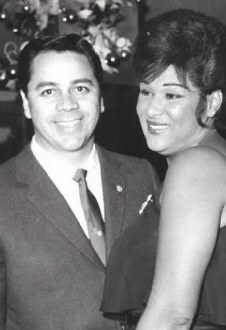 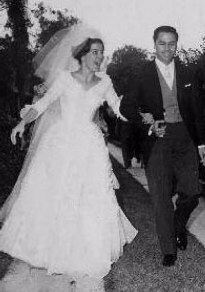 Leslie, one of California's most outstanding beauties married Lucho and gave him daughter Lily Teresa. 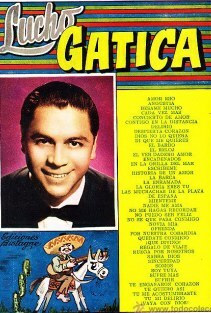 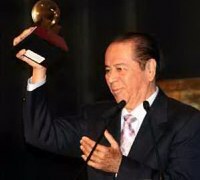 Another gold record for Lucho, 50 years after receiving his first one!. 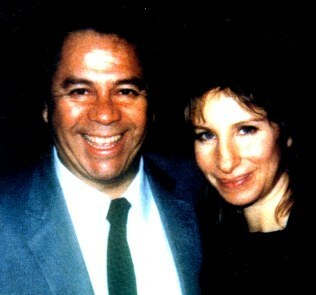 Lucho and the sensational Barbra Streisand. 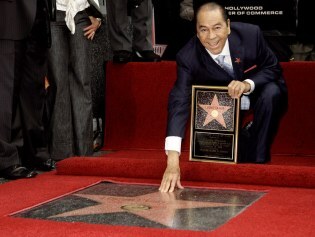 To make sure it´s true, Gatica touches his star. 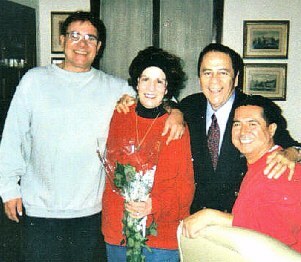 In Miami at a social function with another legendary performer who was a dear friend: Libertad Lamarque. 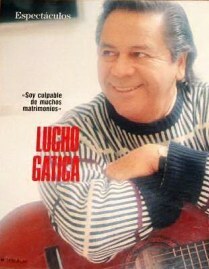 The printed media was always interested in what Lucho had to say! 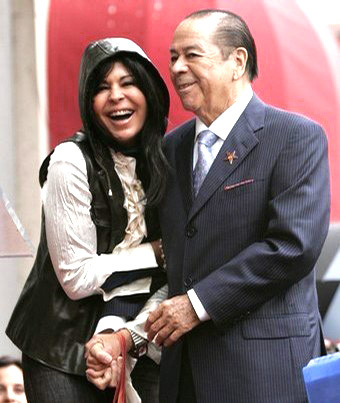 The king and the queen of boleros. 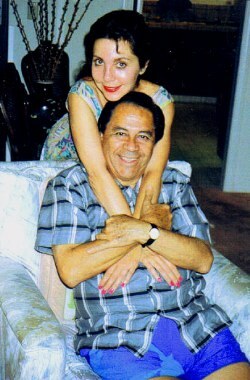 Lucho & Olga Guillot best friends always. 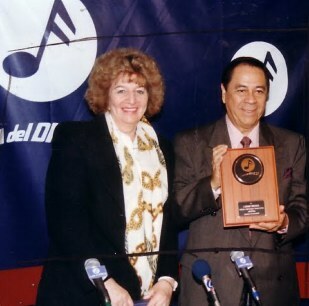 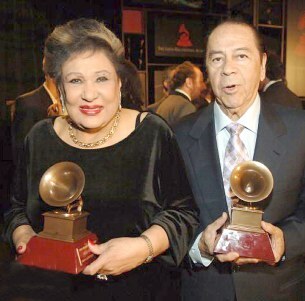 Years later, Olga Guillot and Lucho pose proudly with their respective life achievement Grammys.